Truly, it is a sublime nightmare and the dreamer's reaching for comfort is the proper human response. But it is also a classic of literary portent—the cave is akin to the Underworld and the spider-eyed creature is as forbidding a Guardian at the Gates of Hell as Cerberus, or Milton's hideous Death; meanwhile the man and his child bear the light of their humanity alone, in the dark. 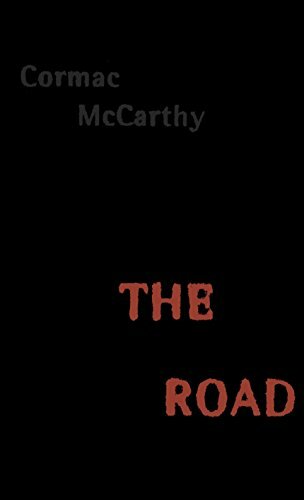 From the very first page there can be no doubt at all that McCarthy is situating The Road in a tradition of great narratives of death, despair, and hope, and of sheer human doggedness. It contrives to be two novels at once. On the one hand it is a thoroughly contemporary post-apocalyptic novel: an elegy for our world, in both its modernity and its natural beauty, and a clarion warning of what we stand to lose through expedient stupidity. On the other, it is a parable, stripped bare—a mythic representation of humanity's struggles to reconcile suffering with divinity, and despair with the instinct to love. Its success, and it is successful, rests in such a tender dualism. ...There's no one here, the man said. There is no poetry to such dialogue. It is stilted, bland, and very repetitive, in stark contrast to the grand Biblical rhythms of the descriptive prose that surrounds it. Nearly all of the couple's spoken communication is this same back and forth of reassurance. First the boy, and then his father, ask for the guarantee of their safety and of their mutual survival. The mutuality of surviving is incredibly important to them. The boy needs his father to care for him, to socialise and love him, and the father is acutely aware that he needs the boy to give him a purpose, a reason to keep living in an unreasonable, inconceivable world. "He knew," we are told, "that if he were a good father still it might be well ... That the boy was all that stood between him and death" (p.25). Indeed, the intensity of his love for the child, and it is properly intense, has come to signify all the possible meaning in his life. The boy is an embodiment of motive and purpose; for his father he is virtually divine in aspect. He is certainly something to believe in: "Golden chalice, good to house a god." (p.64) And the man is desperate for that, desperate to have faith in something independent of man, timeless and beyond death. At night he stands "Eyes closed, arms soaring", searching for "something nameless in the night, lode or matrix. To which he and the stars were common satellites" (p.13). This is the only way he can envision "god": as something at once distant and awesome, but also infinitely present. His "god" can not to be implicated in human suffering, but must remain gloriously central to humanity—fundamental, yet indifferent. He conceives of his son with a similar duality—one moment he thinks of the boy's humanness, his protruding bones and his vulnerable lungs, the next of his supernatural beauty and the holiness of his continued survival. Yet there is something belligerent as well as brave in the man's determination. There is an Old Testament masochism, a damaging grandeur, mingled with his parental love. So inimitable has their survival become to him that he cannot countenance that there are other "good people": other innocent and desperate survivors like themselves. When they do meet lone travelers on the road, just as wretched and vulnerable as they, he cannot find kindness for them. All his enemies have burnt the fellowship out of him. He admits himself that "beauty and goodness are things he'd no longer any way to think about." (p.61) The boy has become the terrible limit of his humanity. McCarthy conjures their continued existence as a catalogue of desperately repetitive circumstance—starvation to plenty to starvation, from desperation to hope, safety to danger and back again. The reader accompanies them viscerally in the sense that they too experience a short episodic drudgery (though hardly as unpleasant)—the narrative has no chapter breaks, only short paragraph capsules. There is no respite, apart from the inevitable end. Nor is there any real "progression": like the man, the reader never gets anywhere. There is nowhere to go. What there is instead is loss and trembling and love precisely expressed. McCarthy is a commanding writer, with a fine control of his style and a syntax that is always careful in its eccentricity. The Road is at once baroque with arabesque and stark with Romanesque lines; pure and clean, rich and dense. It is undeniably powerful. There is a strong argument that science fiction developed out of Gothic literature. This is not a position I happen to share, since I believe that science fiction both predates the Gothic and, in its espousal of rationalism and its basis in the idea of an understandable universe, has an aesthetic at odds with the Gothic. Horror, on the other hand, in its employment of wild landscapes and weather that reflect the mental landscape of the characters, in its irruptions of the extraordinary and the supernatural into the mundane, in its sense of charged emotions, clearly has its roots within the Gothic. 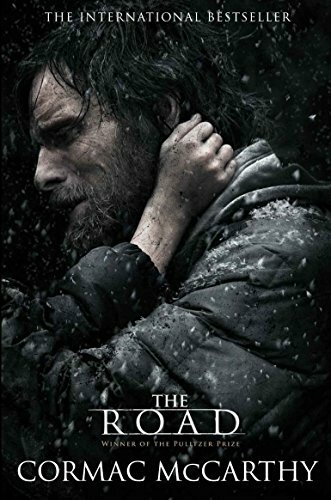 Cormac McCarthy's extraordinary novel, The Road , is at first sight a clear example of a familiar science fictional trope, the post-apocalyptic story. This is a tradition within science fiction that reaches back to Carolyn See's Golden Days (1987), to George R. Stewart's Earth Abides (1950), to Richard Jefferies's After London (1885), and The Road seems to fit right in, telling the familiar story of the struggle of civilised people to survive when there is no more civilisation. On closer examination, however, this line of descent is not so plain. For a start, this is not an explicable universe; we never find out what the apocalypse was. All we know is that every animal and plant has been destroyed along with most humans, ash covers the land, a nuclear winter has set in. Yet every home, along with its soft furnishings, is intact. This is not a rational horror, the blackened landscape is not a real world but a sterile wilderness designed to reflect the psychological landscape of our protagonist. In this landscape we follow the slow journey of a man and his boy as they make their way south to the sea in search of warmth. What sea this is, what landscape they are walking through, we never discover. We might guess, perhaps, the Gulf of Mexico and the Eastern United States, but there is really no evidence to support such suppositions. And if these facts are unclear, the two characters are even more unclear. They are nameless, the man is referred to only as "he," the boy is usually "the child." We discover that the man's wife committed suicide sometime after the apocalypse, but we learn nothing more about them. Any such knowledge would, of course, be irrelevant to their continued survival, and that is part of the point. But it also turns the man into a blank canvas upon which we paint ourselves; in such a reading, "he" translates as "you," or even as "I." Actually, there is one other thing that we learn about them, or rather that we infer about the boy: he is the saviour. This is made most nearly explicit at the very beginning of the novel, when the man says of his child: "If he is not the word of God God never spoke" (p. 4). Thereafter the holiness of the boy is made evident only indirectly; in the way they always come upon a cache of food just at the point that it seems they might starve, in the way the boy acts as a moral voice in a world where morality has no purpose, giving away valuable food to an old man they pass, feeling pity for those who would attack them. It is there also in the novel's repeated refrain, that they are the "keepers of the flame" (though why, in a world of ash, flame is something that should be kept is a question the book never asks). The boy is purity in an impure world, the white of goodness set against the black of everything that surrounds them. Whether he is the holy child in reality or only in the mind of the father does not matter; until the very end we see things only through the mind of the father. It is perhaps only because of the language that we might mistake this novel for anything other than a modern day exercise in the Gothic. McCarthy has pared his prose down to the barest essentials: the vocabulary is limited, sentences are terse, and punctuation marks are often dispensed with (no quotation marks, semi-colons, or parentheses, and he tends to prefer the full stop over the comma). Such concision does not sit comfortably with our impressions of overblown Gothic, of emotions heightened by excess of language. But within this tightly controlled language the book generates extremes of emotion, mostly dread, because our viewpoint pair look out upon a world leeched of human feeling. Where there is no food to farm nor animals to hunt, the simple day to day necessity of survival outweighs the luxury of moral sensibility. In one house they find the cellar is locked; breaking the door down, they discover a room of chained and naked people. It is, we realise, the only type of larder possible in this new world, but what we feel, through the man trying to hide the truth from his innocent son, is the horror of the situation. Having said which, cannibalism is a theme which crops up repeatedly throughout the novel. When we see a gang pass by with a train of bound people behind, we see them as food animals, and there is the scene which every reviewer seems to quote in which they happen upon a joint of baby roasting in a campfire. And yet, I can't help feeling that the horror we are meant to feel at this is the abandonment of civilised values, not the existential despair of struggling to survive when there is no other source of food. In other words, this is another instance in which we read the book as a moral parable rather than as a science fictional examination of a world in extremis. We are in a world transformed by authorial fiat, a world of bleak devastation that matches the psychological devastation of our characters, and yet it is a world in which the flame of the holy spirit is kept alive in one innocent boy at odds with the moral abandonment all around him. There is a poetic force to the spare language which at times attains a curious beauty, and which always impels the reader through its silent emptiness with all the drive of a novel crowded with incident and colour and character. The (almost literal) deus ex machina of the final scene ensures that the book has to be read as a religious parable rather than as rationalist science fiction. Yet for all the cavils, for all the holes that can be picked in setting and plot, this remains one of the most powerful novels of recent years, a devastating account of hope when all reason for hope has fled, of goodness when experience would suggest the opposite course. Victoria Hoyle works as a medieval archives assistant and researcher in York, UK, where she lives with her partner and two guinea pigs. She reads as widely as she can, both in genre fiction and out of it, but with a penchant for the weird and small press. She litblogs at Eve's Alexandria with four friends and can be contacted by email at antigone@hotmail.co.uk. Victoria Hoyle is an archivist and PhD student in York, UK, where she lives with her partner and a prodigious hoard of books. Her reading tastes are eclectic. She blogs at Eve's Alexandria and you can follow her on Twitter @Vicky_Hoyle. There is no poetry to such dialogue. Victoria, I tended much more towards Paul's view on this. It seems to me there is a great deal of poetry in this dialogue and rather than being stilted I find it almost hypnotic. It's quite remarkable that McCormac squeezes so much out of such a truncated vocabulary. The use of the word "okay", in particular - not just in your quote but throughout the book - manges to convey far more than you would think possible. This book truely changed the way I see the world. I never realized how much we take for ganted. It's a beautiful story of a father and sons desire to live. You rock! Very well written and conceived essay. My, my! Look at the brain on Victoria.